According to data from China Commodity City Group (the company running Yiwu market), July to September, Yiwu market to achieve turnover of 10.9 billion yuan, up 17.95% over the second quarter, compared to last year, an increase of 11.51%. US dropped out of TOP10 exporting destinations of Yiwu historically, while The Middle East also showed a decrease of total exporting volume. Because of the debt crisis in Europe and America, Yiwu marke exports show "total export value increased, total volume decreased" feature. 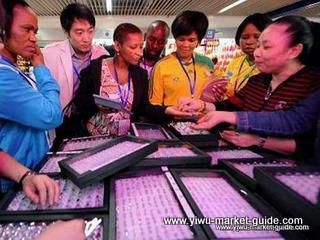 However, a comprehensive reform of international trade in Yiwu has maintained a good momentum of development for Yiwu market. With the end of Ramadan, China Commodity City in September of substantial growth in turnover of the chain, effectively promote active trading re-index higher. According to Yiwu customs statistics, the first three quarters of this year, the amount of Yiwu small commodities export grew 6.90%, but export cargo fell by 11.1%, of which exports to the Middle East and exports were down 5.2% year on year and 18.5% .